The Montour Trail, which goes through Allegheny County and Washington CountyPennsylvania, is the state’s 2017 Trail of the Year. The 63-mile recreational trail is one of the most extensive non-motorized rail trails in the United States. The trail is a flat, easy hike for those who are more interested in taking in the surroundings than a strenuous workout. The full trail stretches 330 miles from Pittsburgh to Washington, D.C. connecting to several other trails, but there are many sections that hikers use for simple day trips. A 6.3-mile section connects to the Pittsburgh airport. You might look for Montour Trail events that take place occasionally in towns connected by the trail, like the Twilight Trail Walk in Canonsburg. 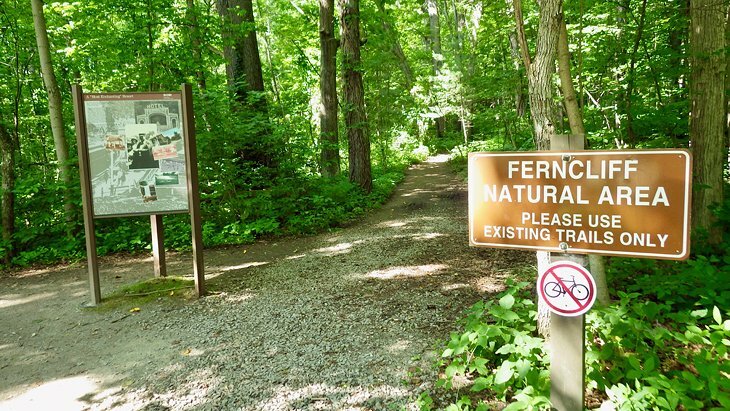 The Ferncliff Peninsula trails are concentrated in a small section of Ohiopyle State Park and make for easy day-trip hiking. There are three miles of four interconnected trails marked by black blazes. 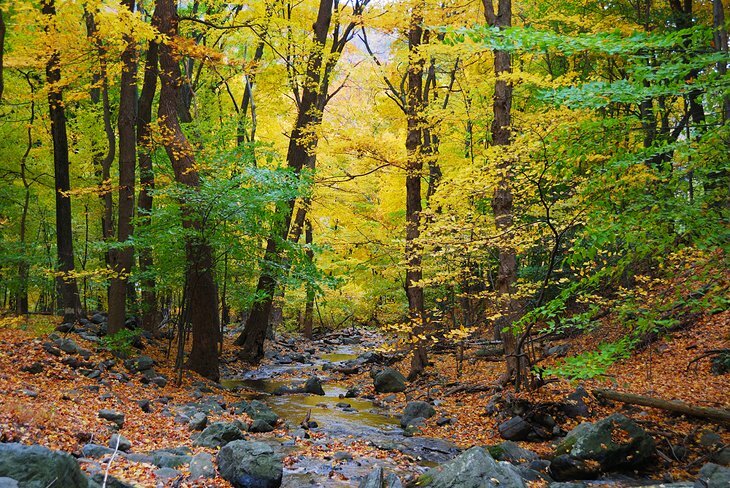 The trails, which range from the 0.1-mile Buffalo Nut Trail to the 1.7-mile Ferncliff trail, are all easy to moderate hiking. The entire peninsula is a unique ecosystem and since it is surrounded by water, it is home to flora that you will not see anywhere else in the region. Be sure to stop by the educational Ohiopyle Visitor Center before your hike for the best sense of your surroundings. The center has detailed information on the trails and even a topographic map of the peninsula that will help orient you before you head out into the 20,000-acre state park.